Insolvency and Bankruptcy Code, 2016 was passed and enacted by the Indian parliament is altogether a different game in the financial market. Many preceding laws could not achieve a stable financial market and resulted in huge lapses, therefore, urging the parliament to make more codified law. The law is still new and therefore open at all ends for interpretation. The apex court of the country in a recently passed judgment upheld the financial freedom of the Committee of Creditors. As per Section-30(4) of the code gives powers to the committee of creditors for approval or rejection of the proposed resolution plan which might seem a better option over liquidation. The percentage in the said section is fixed at 66% for approval. In recent matters of Kamineni Steel & Power India and Innoventive Industries insolvency proceedings were in play and resolution plan was placed before the COC by the concerned RP. Innoventive Industries went straight into liquidation for not being able to gather the (then) necessary 75% of the voting share of financial creditors constituting the COC, Kamineni’s resolution plan despite having only 66% of the voting share was approved by the NCLT Hyderabad Bench. 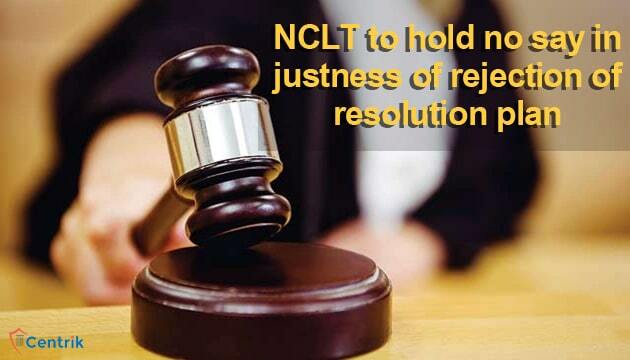 NCALT in the appeal filed in the matter of Kamineni’s reversed the order passed by NCLT and remanded the matter back to go through the liquidation process. Both the companies in lieu of the same filed an appeal in the Supreme Court. Supreme Court while interpreting the power of COC upheld Section-30(4) and only rule on the percentage of votes. The court said 75% is mandatory and any further interpretation will lead to diluting the parliamentary intent. The court further discussing the words of the Section ruled that while passing the act the parliament assumed that the financial knowledge of the COC is to be trusted and believed to be sound. Such judgment passed by the Supreme court has put the status of financial creditors at a higher pedestal. The COC is may seem has a small part of the whole process but when looked closely it can be seen that how their status and voting rights are sacrosanct and carry huge value.